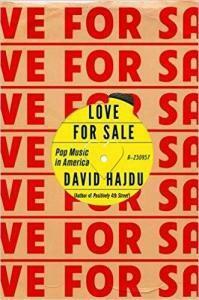 Author of this book, David Hajdu, is a professor of journalism at Columbia University. He’s music critic for The Nation as well as a songwriter and librettist. His biography of Billy Strayhorn, Lush Life (1996) is the definitive work, so far, on this jazz composer/pianist and Ellington alter ego. 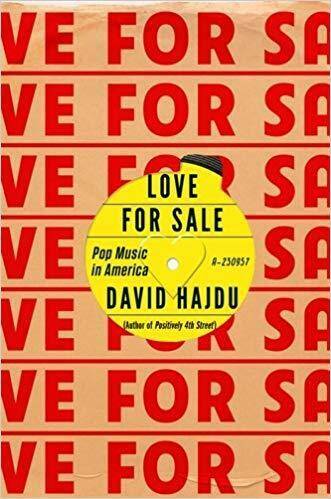 The current book approaches American pop music from a unique perspective. He begins with popular music presented primarily as sheet music and live performance. From there he covers the music as presented on radio and on recordings. There are numerous examples and anecdotes including Bessie Smith, Duke Ellington, Cab Calloway, Bob Dylan, the Beatles and others. The author also weaves in technological advances and their influence on the direction of the music—records 78 rpm to LPs to CDs to streaming audio and video. Interestingly, he weaves in some of his personal history, too. His mother worked in a fast-food place in New Jersey. She would bring home the discarded 45 rpm discs from the jukebox. He recounts also musical anecdotes related to his vocalist-wife and his son. So, in my opinion, the book is successful on several levels. It tells a good story and at the same time gives an excellent overview of how popular music evolved over the last century. Having been a Hajdu admirer since reading Lush Life, I eagerly await his next work. Previous Bop Apocalypse: Jazz, Race, the Beats, & Drugs, an interview with the author.